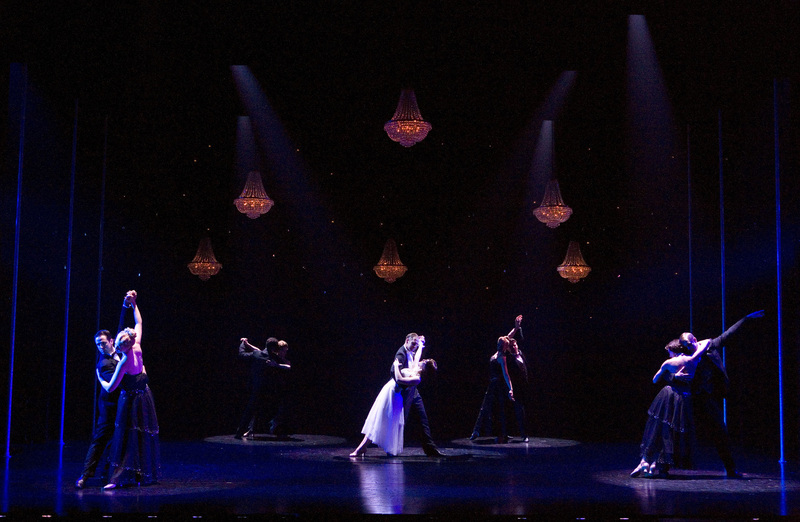 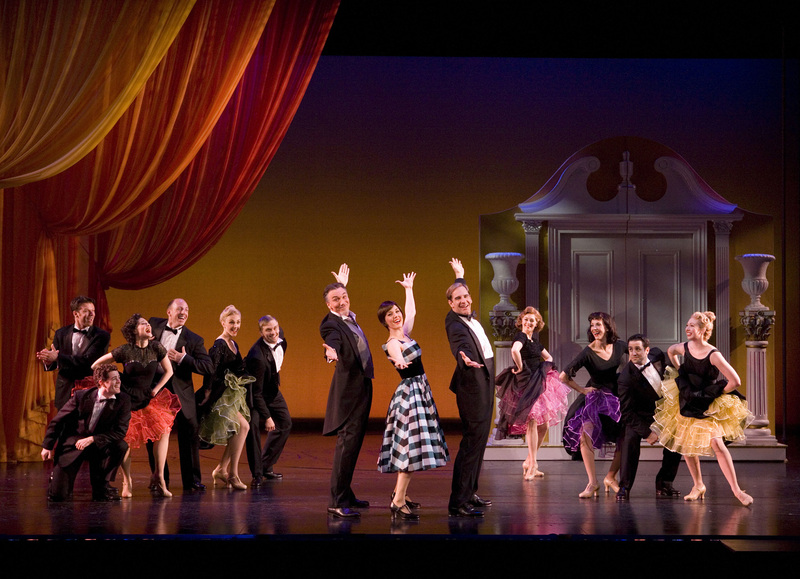 (center; l-r) Patrick Page, Mara Davi and Scott Bakula with the ensemble of The Old Globe’s world-premiere musical Dancing in the Dark, based on the MGM movie “The Band Wagon,” with book by Douglas Carter Beane; music by Arthur Schwartz; lyrics by Howard Dietz; directed by Gary Griffin, playing in the Old Globe Theatre March 4 – April 13; photo by Craig Schwartz. 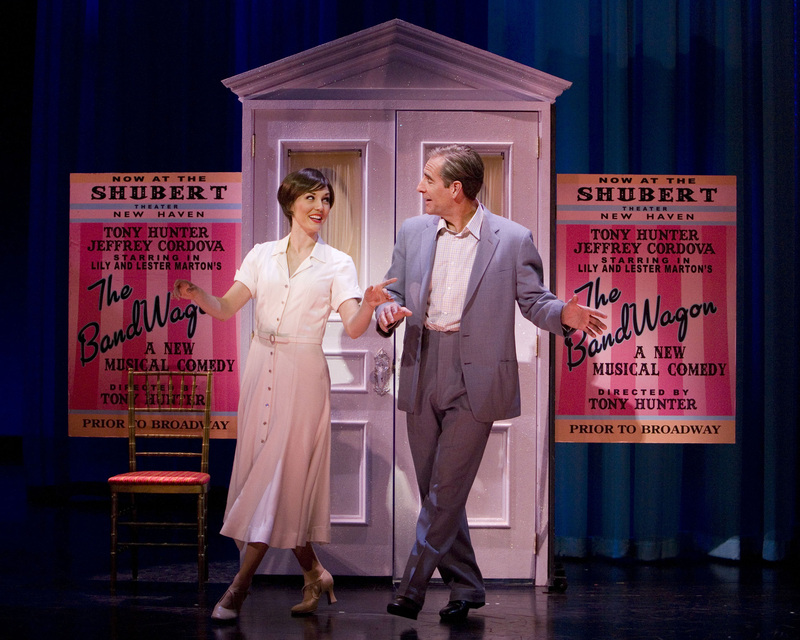 Scott Bakula and Mara Davi (center) with the ensemble of The Old Globe’s world-premiere musical Dancing in the Dark, based on the MGM movie “The Band Wagon,” with book by Douglas Carter Beane; music by Arthur Schwartz; lyrics by Howard Dietz; directed by Gary Griffin, playing in the Old Globe Theatre March 4 – April 13; photo by Craig Schwartz. 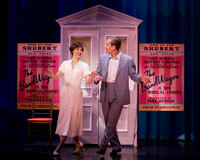 Scott Bakula and Mara Davi in The Old Globe’s world-premiere musical Dancing in the Dark, based on the MGM movie “The Band Wagon,” with book by Douglas Carter Beane; music by Arthur Schwartz; lyrics by Howard Dietz; directed by Gary Griffin, playing in the Old Globe Theatre March 4 – April 13; photo by Craig Schwartz. 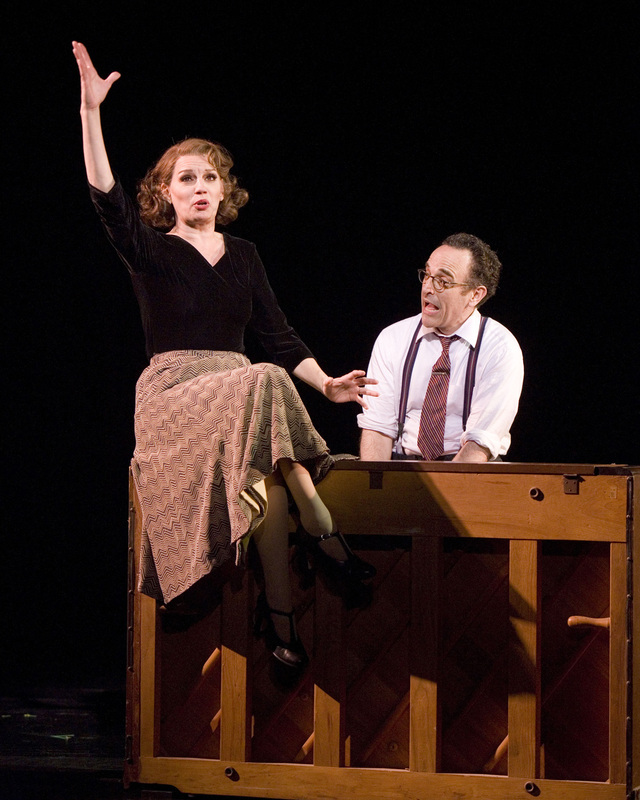 Tony Award-winner Beth Leavel and Adam Heller in The Old Globe’s world-premiere musical Dancing in the Dark, based on the MGM movie “The Band Wagon,” with book by Douglas Carter Beane; music by Arthur Schwartz; lyrics by Howard Dietz; directed by Gary Griffin, playing in the Old Globe Theatre March 4 – April 13; photo by Craig Schwartz..